Leith Morton was formerly senior lecturer in Japanese at the University of Sydney and foundation Professor of Japanese at the University of Newcastle. He now teaches English at the Tokyo Institute of Technology, Japan, where he is a full professor in the Foreign Language Research and Teaching Center and the Department of Value and Decision Science. His main research interests are modern Japanese literature, culture and aesthetics. His books include: Tales From East of the River (Melbourne: Rigmarole Press, 1982); Divided Self: A Biography of Arishima Takeo (Sydney: Allen & Unwin, 1988); The Fox (Tokyo: Kumon Publishing Co., Ltd, 1989) (illustrated by Murakami Yukuo); Editor (and translator with three others) Seven Stories of Modern Japan (Sydney: Wild Peony Press, 1991); (Edited and translated) Mt Fuji: Selected Poems 1943-1986 by Kusano Shinpei (Michigan: Katydid Press, 1991); (Edited and translated) An Anthology of Contemporary Japanese Poetry (New York & London: Garland Publishing 1993); The Flower Garland (Sydney: Island Press, 1993); a day at the races (Macao: English Dept., Univ. of Macao, 2003); Modern Japanese Culture: The Insider View (Melbourne: Univ. of Oxford Press, 2003); At The Hotel Zudabollo (Sydney: Island Press, 2004); Modernism in Practice: An Introduction to Postwar Japanese Poetry (Honolulu: Univ. of Hawaii Press, 2004); (Poetry Co-Editor and Co-Translator) The Columbia Anthology of Modern Japanese Literature Volume 1: From Restoration to Occupation, 1868-1945 (New York, Columbia University Press, 2005); (Translator) Shuntaro Tanikawa: Selected Poems (Sydney: Vagabond Press, 2006); (Translator) Rin Ishigaki: Selected Poems (Sydney: Vagabond Press, 2006); (Translator) Masayo Koike: Selected Poems (Sydney: Vagabond Press, 2006); Tokyo: A Poem in Four Chapters (Sydney: Vagabond Press, 2006) and Yosano Akiko no ‘Midaregami’ o Eigo de Ajiwau (Tokyo: Chukei Shuppan, 2007). The Alien Within: Representations of the Exotic in 20th Century Japanese Literature (Hawaii Univ. Press, 2009). I am currently an exchange grad student in Tokyo and I am pursuing a thesis in comparative literature (Akutagawa Ryunosuke and fragmentary writing). As I saw last week with regret, I missed your courses at Sophia University this semester… and that made me wonder if you know of any courses/seminars/symposiums in Tokyo on Taisho literature that are being taught this year, or even of some references books on fragmentary writing and the Japanese language (I am working on a french translation of Shuju no ｋotoba) . . . or if you know of anything you think might be of interest. I hope your Aozora Bunko Translation Project is going well, and thank you for all the interesting things you share. Thanks for the mail. If I'm not mistaken, Professor Ando plans to focus on Taisho literature in the next semester of his kokubungaku graduate seminar at Todai, so you might want to check that out. As for books/essays on fragmentary writings of the Taisho period, the first thing that comes to mind is Seiji Lippit's chapter on the dismantling of literary form/genre in Akutagawa's late (fragmentary) works. If anything else comes to mind, I'll be sure to let you know. Good luck with your translation. I know you're busy, so I made you a study guide for your class tomorrow, in which you will discuss Kawabata Yasunari's "Of Birds and Beasts" 「禽獣」. Here are 35 questions to consider while reading the story. *The protagonist of this story is a sort of urban hermit. Who are some other notable hermits from the Japanese tradition? 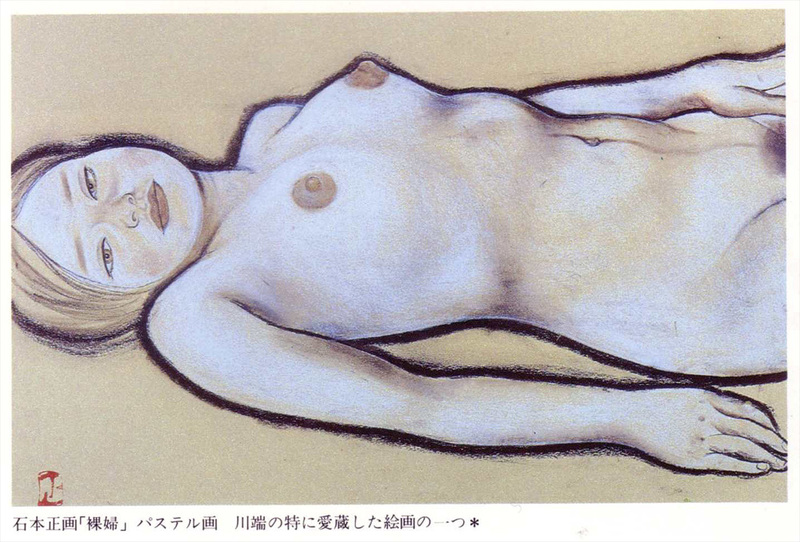 *What magazine was Kawabata associated with in 1920s? And what was the name of the movement with which he was affiliated? *This story is often referred to as an example of shinkyō shōsetsu 心境小説. What does that mean? *This story is said to employ both “modernist” and “traditional” literary techniques. What are they? *The title of the story in Japanese is kinjū 禽獣. The Japanese word has two meanings. What are they? How is the second meaning significant to the story? *Eugenics was big in the 1920s and 1930s, especially in fascist countries like Japan, UK, and Nazi Germany. Think about this theme of eugenics, and how it is presented in the story. *Do you consider this work to be auto-biographical (or, at least, to be representative of the I-novel mode)? *An implied message in the story is that to love something is to inflict pain/damage upon it. What does this mean? How is this “message” conveyed in the story? *What kind of man is the protagonist? Would you like to befriend him? Be his lover? *Why does the protagonist prefer the company of animals to that of humans? *Why does he avoid human contact (with the exception of prostitutes/maids/dancers/etc), and withdraw into his house filled with pets? *How does the protagonist's attitude toward women resemble his attitude toward his pet animals? Does he regard them as one as the same? *When he first visits Chikako in the dressing room before her performance, he grabs her breast. This time, however, he does not grab her breast. Why is this? *The protagonist tells us that keeping/raising pets gives one a sense of “sad purity” and “godlike newness.” What does this mean? *In the eyes of the protagonist, how are young women similar to dogs? *Is the protagonist a sad figure? Should we pity him? Envy him? Or despise him? *In a very important flashback scene, we learn why the protagonist remains so drawn to Chikako. Why is this? *What is this “joy of emptiness” to which the protagonist refers? *The expression on the dog’s face after having its first litter reminds the protagonist of Chikako’s face when he first purchases her. What does this fact (that a dog's expression reminds him of a former lover) tell us about the mental/emotional state of the protagonist? *Why does he dislike all men, and male animals in general? *What is it that he seeks/desires? *Why does he scold Chikako when he meets her shortly after she has her first child? *What is his attitude toward mongrels? Miscegenation? Is his attitude typical for this time period? *The protagonist has been described by critics as “vampirish.” What is “vampirish” about him? *The story is told in from what point of view? *Whose thoughts/feelings is the narrative voice closest to? 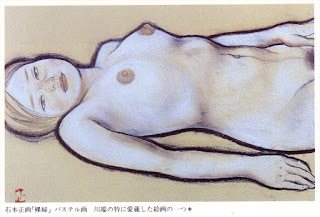 *Kawabata's style of prose is often described as "disjointed," "fragmentary," and "haiku-like." What is disjointed and haiku-like about the narration in this story? *How does the narrative progress? According to what logic? *How do flashbacks function in the story? *There is much bizarre and even grotesque imagery in the work. Identify some of these passages. *What are some examples of the associative leaps in the story? Give an example of how one image/scent/observation triggers a flashback, or how something within the flashback can suddenly bring us back to the present. *Though the protagonist almost obsessively pursues/worships life/vitality (生命), the story begins and ends with images of death (in the beginning, a funeral procession; in the end, the image of Chikako’s death-like face). What does this suggest about death’s inevitability and the allure it holds for the protagonist?